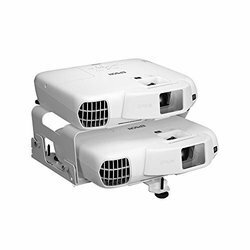 Prominent & Leading Wholesale Trader from Chennai, we offer eb-2055 business projector, eb-2165w business projector, eb-675wi business projector, eb-695wi business projector, eb-w16sk business projector - stacking projector-passive 3d and epson w05 projector. The whole family will enjoy this high-quality, versatile projector. Whether watching stunning films and viewing family photos on a big screen or delivering crisp, clear presentations, the stylishly-designed EB-W05 is ideally suited for both the home and office. Easy to move and quick to set-up, users can start watching exceptional-quality content in no time at all. 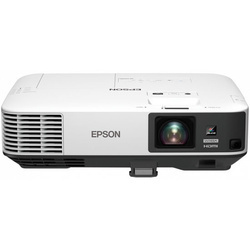 Resolution "1920x1200 4K enhanced HD"
Project large screen sizes even at close range and make your presentations larger-than-life with Epson EB-520 projector. 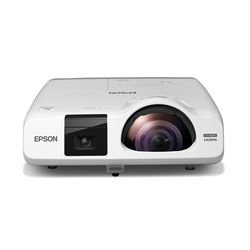 Deliver uninterrupted presentations every time with Epson EB-520 projector. 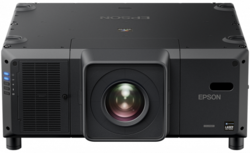 This projector boasts a throw ratio as low as 0.48, allowing you to project an 80-inch large screen from just 83cm away. 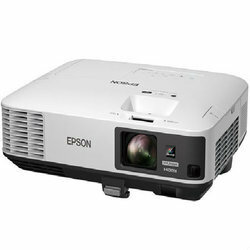 Epson EB-520 gives you greater possibilities for all kinds of creative applications, even in areas with limited space. The projector can be mounted on a wall or set on a desktop and is effective on any surface, be it a flat wall, a whiteboard or even a chalkboard. With the control of a host PC, up to 50 terminals can be connected via the multi-PC projection to a single projector. The host PC acts as a moderator, selecting media from up to four PCs or smart devices to be projected simultaneously. With the moderator function, you can maintain control and prevent tampering of whats projected on screen.